It was only a few years ago when General Motors showed off its show car the Camaro SS to totally stunned and salivating reporters and car enthusiasts everywhere. After the show was over, it was a given that this vehicle would be making a comeback to the dealerships, but what was less known was whether the beauty of the lines of the show car would remain for the sales model- they have. 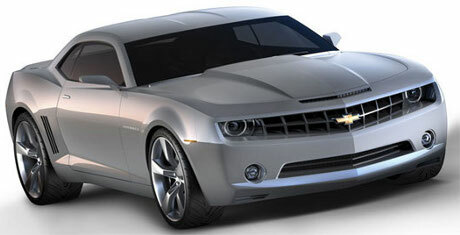 The new Camaro SS is one of the best vehicles going for General Motors. Even with the economy in dire straights, there will be plenty of people waiting to pony up to purchase a vehicle that makes you forget about all your troubles. So what is under the hood of the Camaro SS? For those that were very worried that this muscle car wouldn’t have any muscles, don’t fret, there is plenty under the hood to make any car enthusiast smile and cheer. The Camaro SS is a 3,800 pound beast. It offers a wonderful engine that is taken straight from the Corvette. It features the 6.2 liter LS3 engine that delivers 422 horsepower. Matched with this magnificent engine is a six speed manual transmission. It should also be noted that there is even a fuel management cylinder deactivation system which helps you save fuel on the open road. Other points of interest include that it is rear wheel drive and uses the same chassis that the Pontiac G8 does. However, the SS offers a firmer FE3 performance grade ride and lower height than the G8. For those that miss the Camaro, the Camaro SS and also the RS- which is similar, except without the LS3 engine and some other performance options is now available at dealerships everywhere.